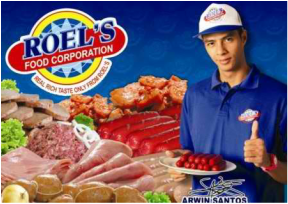 Great taste, great quality, and great value for money, that's what Roel's Food Corporation is all about. Ask its president and CEO, Romulo F. Pecson, and he'll plainly tell you that the secret of their success is RFC's commitment to excellence. RFC's expert team of food technologists and microbiologists is helping to make certain that the market gets only the best. With each bite of Roel's meat products, consumers are assured that only the best meat from local sources, Australia, and Canada is used and stringent sanitation standards, as required by the National Meat Inspection Services, are practiced. And with its state of the art meat processing equipment, a lot of which are made from the finest stainless steel from Europe, it's not surprising that Roel's Food Corporation was named National Best Meat Processing Plant in Double A Category. Roel's Food Corporation is firm in its resolve to continue to deliver quality meat products and services to its ever growing clientele. It also promises to look for more innovative ways to further improve the company's standards towards total customer satisfaction. Relish the real rich taste that can only come from Capampangan hands working to preserve their tradition of great-tasting food.